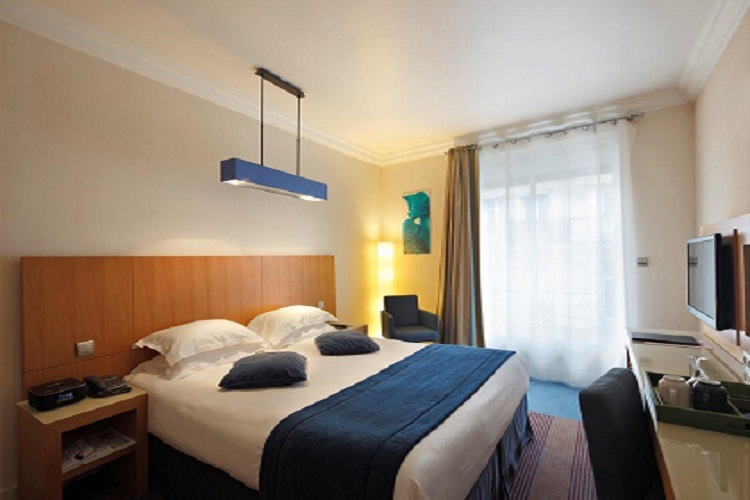 Located in a quiet street in one of the best areas of Paris, the Westside Hotel is an haven of peace in the heart of the lively Paris. A place to enjoy between two appointments or two visits of monuments. private balcony or a terrace. Deluxe Rooms on the 6th and 8th floor of the hotel have views over Paris’s roofs. Discover our 14 € Breakfast Buffet : hot an cold dishes, delicious fresh fruit juices and assortment of french gourmandises. A real start for your day. After work or after a day of visits, the Westside Hotel welcomes you in its relaxation area : a small indoor pool (water is 26° celsius hot) and a sauna to decompress “Paris on the Beach” style. The Team of the Hotel Westside Arc de Triomphe (formerly Waldorf Arc de Triomphe) has an obsession : to make the life of its Guests more pleasant and more comfortable and turn their trip to Paris to a remarkable moment that gives them the taste of return in the Capital … and to the Hotel Westside. 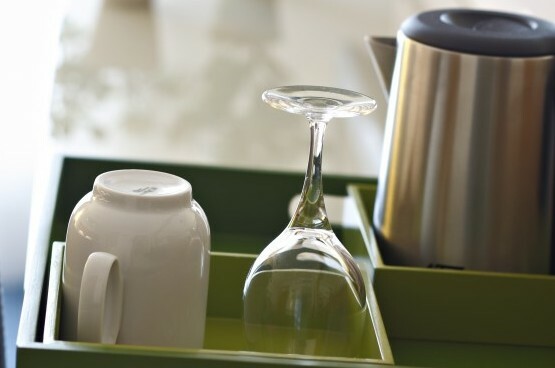 Our 4 star Hotel is famously known for the quality of its welcome, the friendliness of its Team and its « cozy » atmosphere. 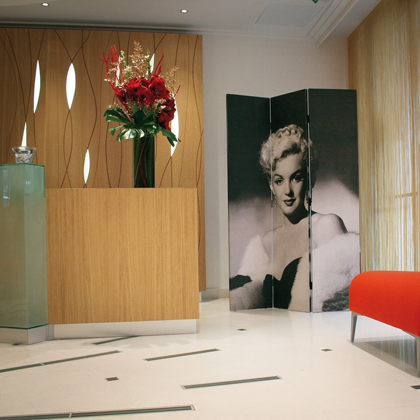 This place is an ideal hotel for a business trip to Paris. 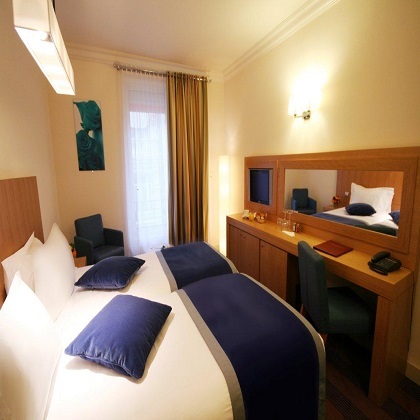 Its comfort and its location are also appreciated by tourists wishing to visit Paris in excellent conditions of calm and comfort. Welcome ! 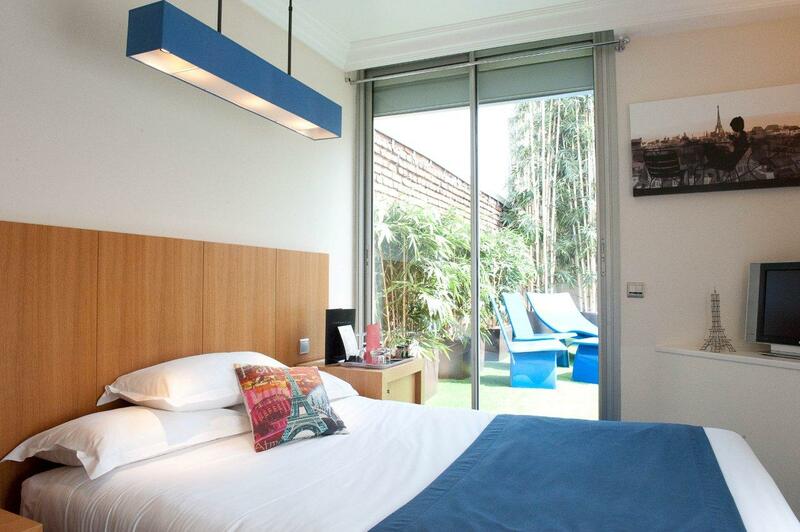 Quiet and comfortable rooms wih double bed. Good value for money. Large Double Rooms fully equipped with twin or queen beds. 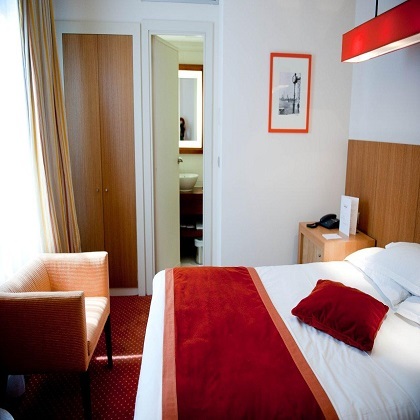 Very comfortable rooms with two 90 cm beds. 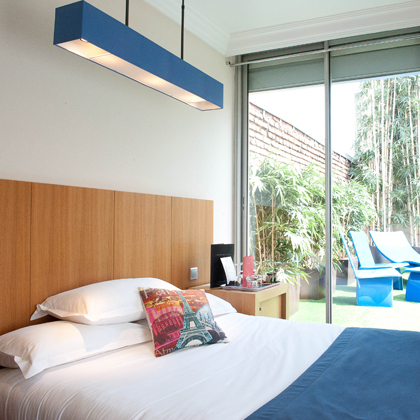 Our best rooms : some ot them have views over Paris roofs. Our new LED TVs provide 53 french and international channels ! 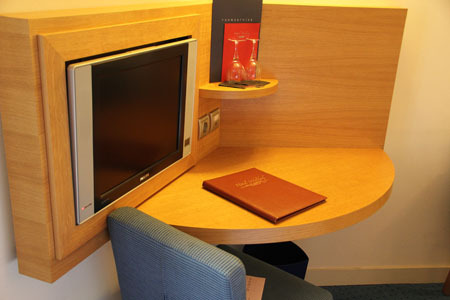 Tean & Coffee making facilities available in all rooms, as well as a free bottle of water : feel yourself at home.